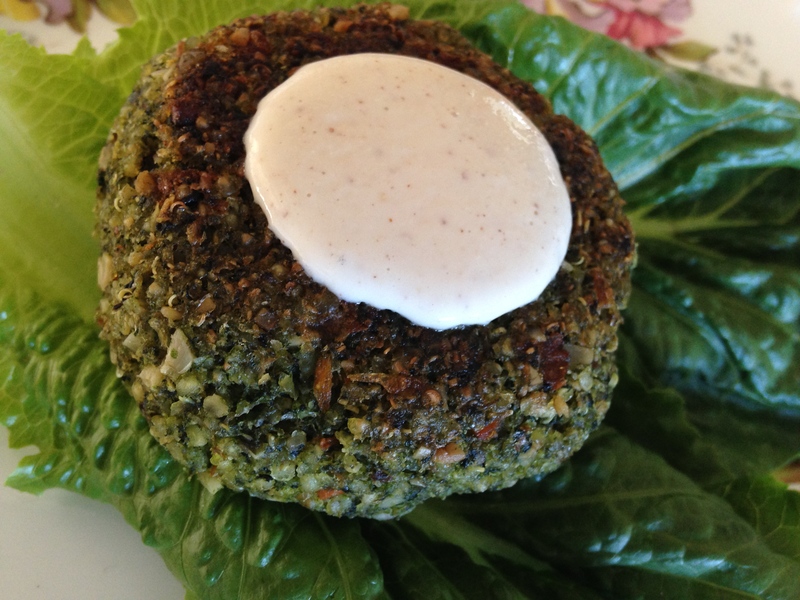 This recipe started out as a pilaf but there was so much leftover, I turned it into croquettes or veggie burger, if you prefer. Millet is such a great grain to use and this is a fantastic way to incorporate it into the rotation. Click to find out how to make perfect millet every time. Add the uncooked millet to a skillet and toast for 5 minutes. It will start to smell delicious and pop. Then, add the water and bring to a boil. Add a pinch of salt and reduce to a simmer. Cover and cook until the water is absorbed, 5 to 8 minutes. Let sit covered until ready to mix with the vegetables. Organize the vegetable mise en place. Dice the onion, carrot, parsnip, shallots and mince or press the garlic. Chop the spinach. Sauté the onions in a dry pan until they start to brown. Add a splash of water to deglaze the pan. Then add the carrots, parsnips, shallots and garlic and cook until soft adding water as necessary. Season with a pinch of salt. Add the spinach and wilt at the last minute. Toast the pecans and pumpkin seeds in a 325 oven for 8 to 10 minutes or until fragrant and browning. Combine the millet, vegetables, seeds and nuts. Stop here and serve this as a great side dish!! Or move onto the croquettes. Make the flax egg and mix into the millet mixture along with the quinoa flakes. Use a 1/2 cup measure and press the mixture together to form burgers. Fry on the stove top until both sides are golden brown and then place on a lined baking sheet. Rest the croquettes for 30 minutes. Freeze now or bake in a 350 oven for 20 minutes. Place all ingredients into the Vitamix and let it rip until smoooooth. Serve cakes over a nice piece of Romiane and top with a dollop of dressing. Enjoy!